My mom has really fond memories of watching Darren McGavin as Kolchak, “The Night Stalker.” So when I told her Kino was releasing the two television movies starring McGavin’s character that led up to the television show itself, she lovingly demanded I get at least one. I went with 1973’s The Night Strangler based on the fact its script was penned by famed horror writer Richard Matheson. Maybe because I didn’t live through the ’70s television movie era, but The Night Strangler might have made me want to strangle myself. Carl Kolchak (McGavin), a disgraced writer now living in Seattle, stumbles upon the story of a lifetime when a series of strippers are killed and drained of blood. Through the aid of his former editor and a researcher, Kolchak discovers the murderer might be looking for the key to everlasting life. So, full disclosure: my mom loved this movie just as much as she did in 1973. So there’s that. I’ve never seen an episode of The Night Stalker in my life, so I interpreted the series as being a Scooby-Doo-type thing, wherein the strange and fantastical are debunked as the logical and rational. Nope, The Night Strangler goes all in on the weirdness and maybe had I known that going in, I’d have reacted differently. The idea of a Dorian Gray-esque alchemist is interesting, though for a movie that’s 90 minutes on the dot you have to wade through the weirdness that is ’70s-era Seattle. The women Kolchak meets run from the dippy, to the flighty (yet educated), with a few stereotypical depictions of lesbians thrown in. You can’t really expect too much considering the time period, but it is a unique time capsule on the varieties of women men saw during the time. This is a television movie, one of two following The Night Stalker, which aired on ABC in 1972. Therefore it’s understandable that, despite being set in Seattle it often feels like a small set. Kolchak spends most of his time in strip clubs – ’70s ones so it’s mostly gyrating and burlesque – and libraries, giving everything a small, intimate feel to compensate for the limited budget. The “underground city” at the climax is probably the most intricate element of the production and it is suitably creepy. Darren McGavin, though, doesn’t quite work for me. At times I felt he was the foundation for the parodies of cop/journalist shows – there’s a scene in So I Married an Axe Murderer (1993) that seems directly inspired by this. McGavin spends a ton of time yelling. Yelling at his editor, Tony Vincenzo (Simon Oakland), yelling at random events, yelling at the police chief (played by John Carradine). And when McGavin starts yelling, everyone else starts yelling to the point that I believe I turned into Steve Carrell’s Brick Tamland in Anchorman (2004): “I DON’T KNOW WHAT WE’RE YELLING ABOUT!” This wouldn’t be a problem if it was isolated, but for a 90-minute movie at least 30 minutes is straight up yelling. McGavin’s penchant for narration is also too much. The actor is given paragraphs of exposition, both necessary and unnecessary, to lob at the audience. In the movie’s first third at least 80% is narration. 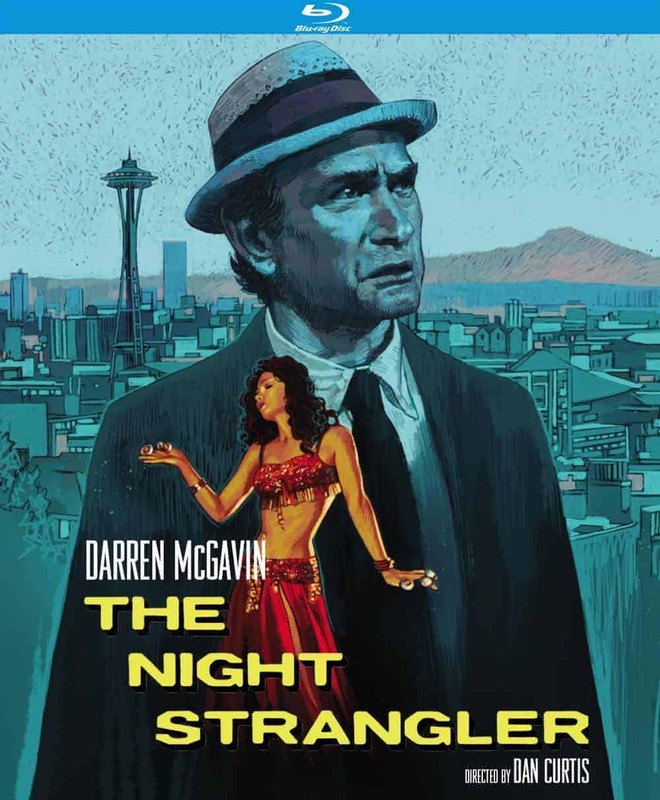 The Night Strangler wins over those who grew up loving Kolchak and The Night Stalker series. If you missed the boat on the show already, it’s doubtful you’ll find much enjoyment to derive here.